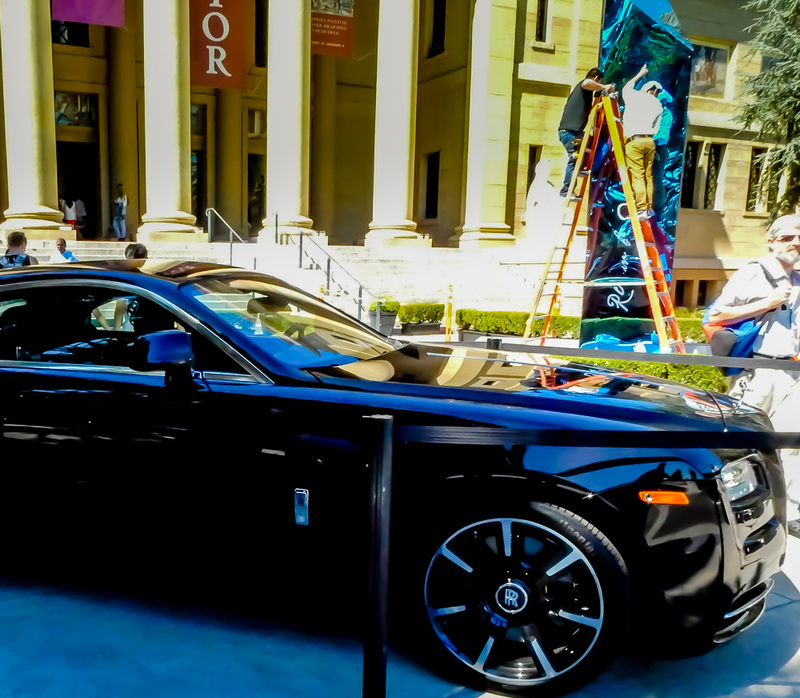 Everybody’s Dream Car — Rolls-Royce Wraith is fast, luxurious and expensive. 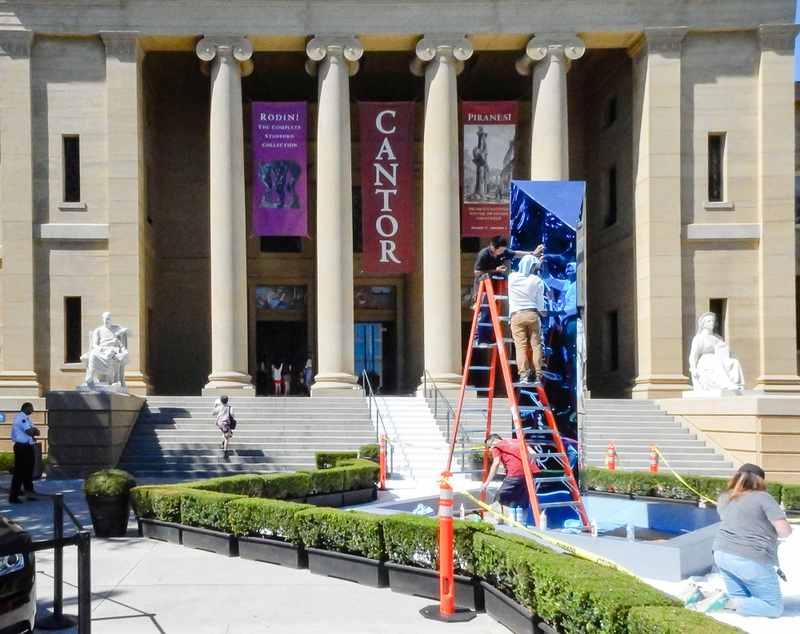 It’s fund-raising gala day at the Cantor Art Center, and the decorators are out in full as they rush to setup accommodations for the rich, very rich and immeasurably wealthy guests who will snack on canapés, drink wine and tour the galleries this evening. This Rolls-Royce is a new Wraith model that costs roughly $300,000. The English luxury brand is now made with German BMW technology, but is very carefully built by hand in England. 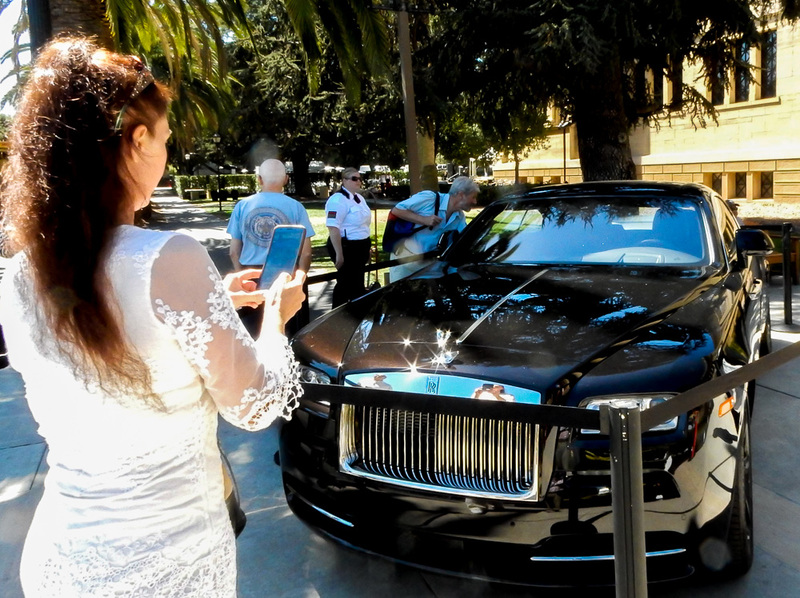 You can read more about the Rolls in auto magazine Car And Driver. It’s decorating time at the Stanford Art Center. Conventions like Dreamforce and Oracle Open World bring techies from all corners of the world together, but there’s nothing like the Rodin By Moonlight fundraiser at the Cantor Arts Center to assemble some of Stanford and Silicon Valley’s leading minds, innovators and investors in one intimate gathering. 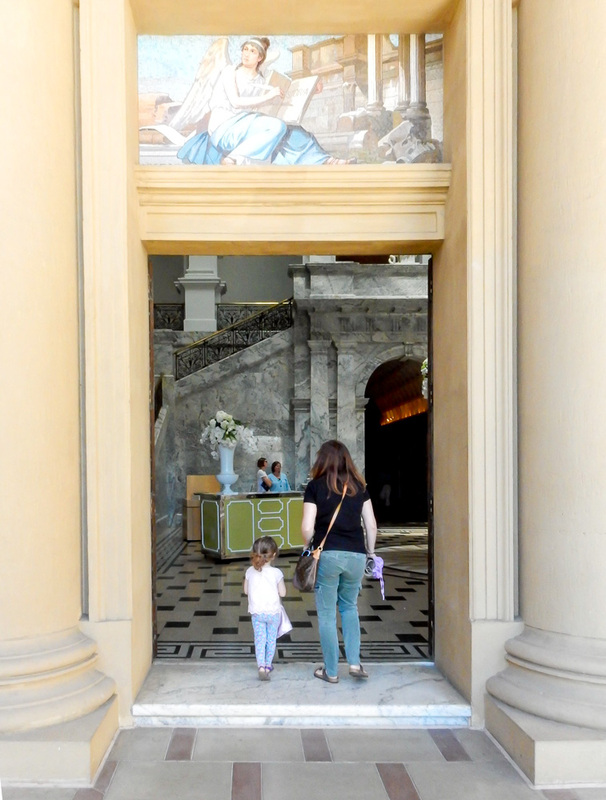 But, during the day, while decorating goes on (carefully, I should add), the museum is still open free to the public. Admission is Free at the Museum, which was open while decorating for a Gala. I hope they had a great party and left lots of money to advance the museum goals. Maybe one of the lucky patrons will leave with the Rolls, who knows. Decorating was done by the gay owned business Got Light. Click the link to see a photo gallery of their work. Follow this link to visit other blogs and view their entry to WordPress Weekly Photo Challenge: Careful.